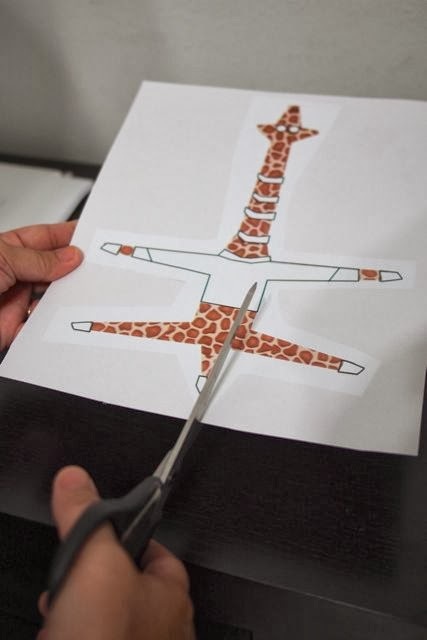 Welcome to Day 2 of Animal Craft for Kids! 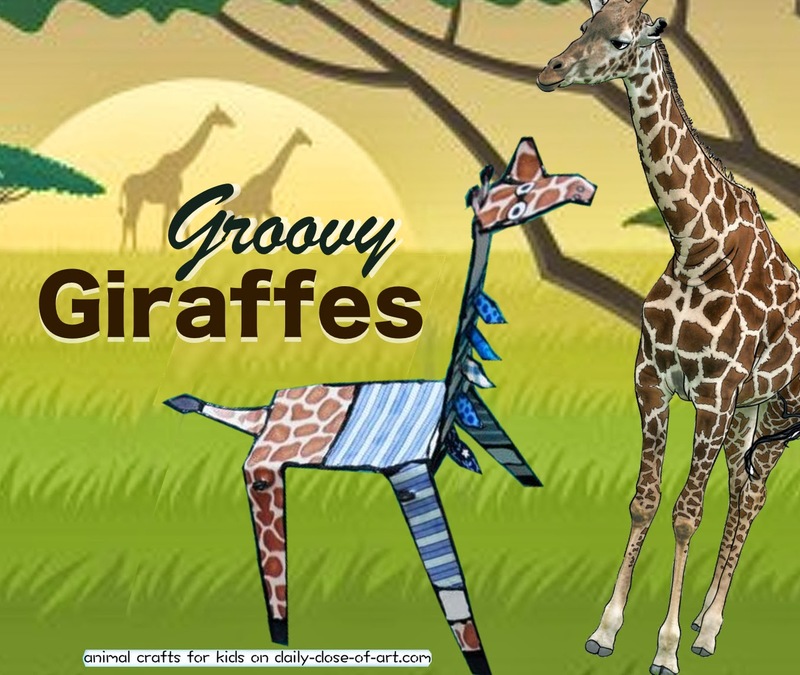 Today we will make a “Groovy Giraffes”. About a year ago, my Japanese neighbour Niki gave me a very humorous book. It was something my little son and I could actually enjoy together. 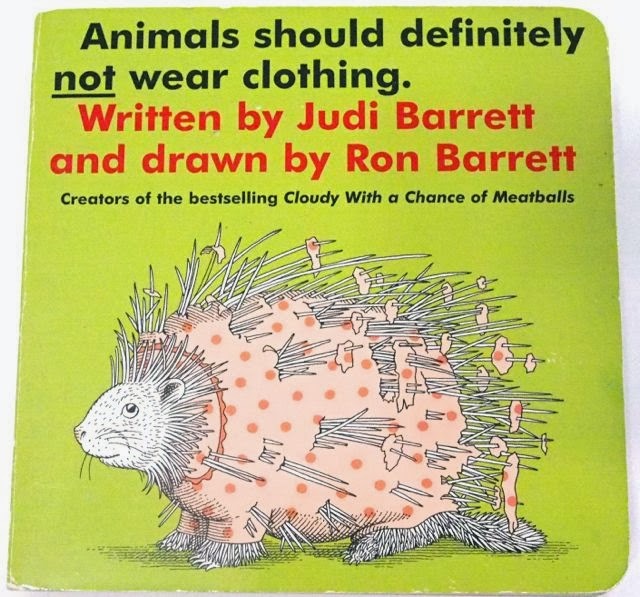 The title of the book is “Animals should definitely not wear clothing” Written by Judi Barrett and illustrated by Ron Barrett (creators of the bestselling Cloudy with a Chance of Meatballs). 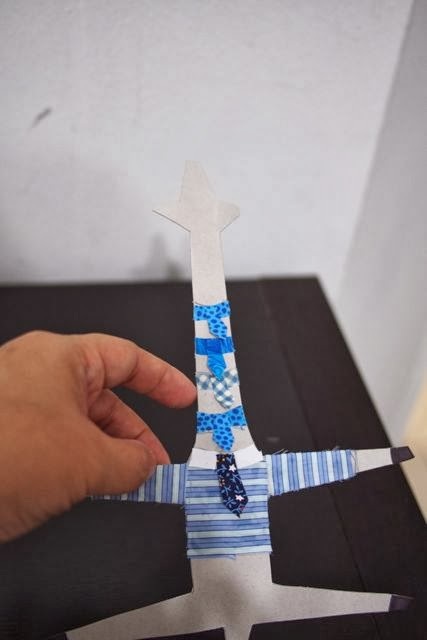 Ron Barrett’s illustration of this multi-necktied giraffe is what inspired this crafting project. How did I prepare the materials for this project? 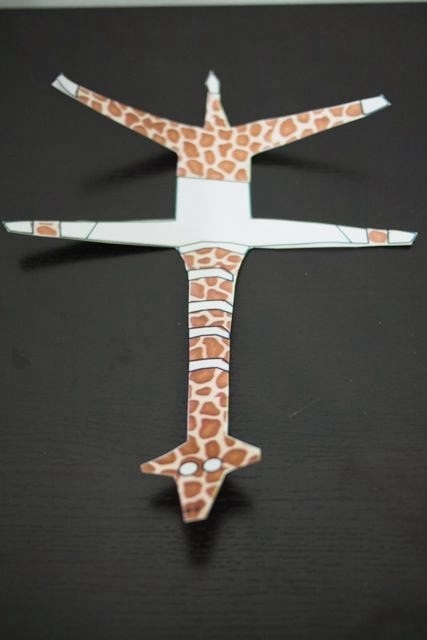 1) I made a template of a standing giraffe. 2) I scanned the template. 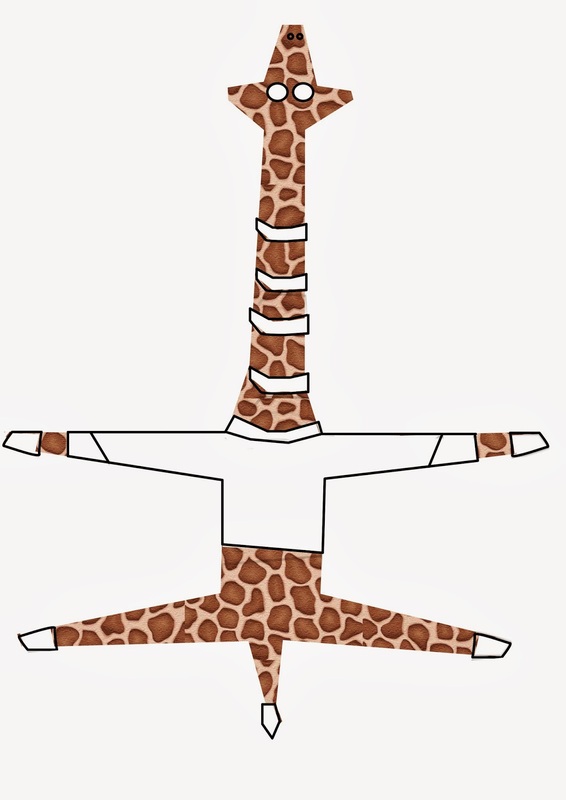 3) Once I had a jpeg file of the template, I got a giraffe pattern image and traced the template. 4) I made an outline of shirt and ties. 4) I printed the new template (now with giraffe spots,shirt & ties). Below is my template. This is just a guide so please make sure you try one first for balance of legs, you might have to adjust length of legs. 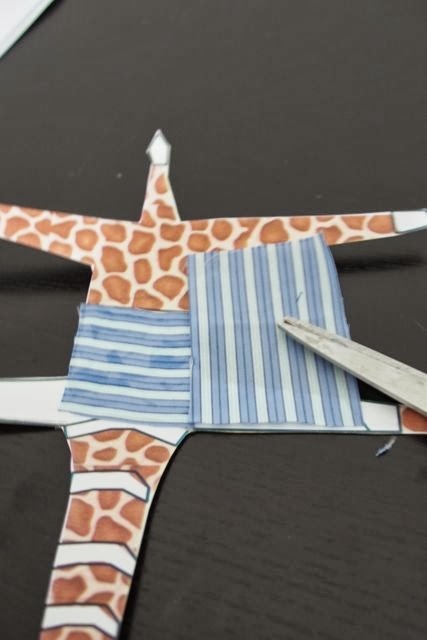 1)Glue the printed giraffe template on a cardboard sheet. 3. 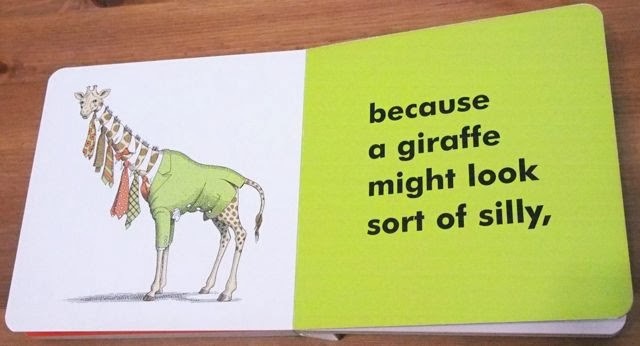 Dress the giraffe. 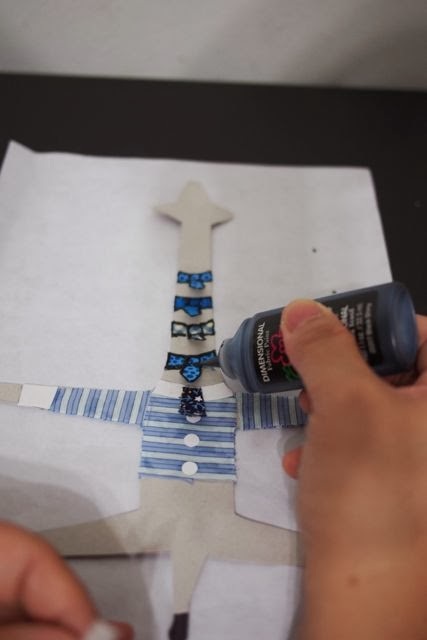 Kids can use coloured pens or cut fabric to fill the spaces for the giraffe’s clothing. 7) Fold and allow to stand. 8) Drill holes on upper ‘thighs’ for the twisty ties. 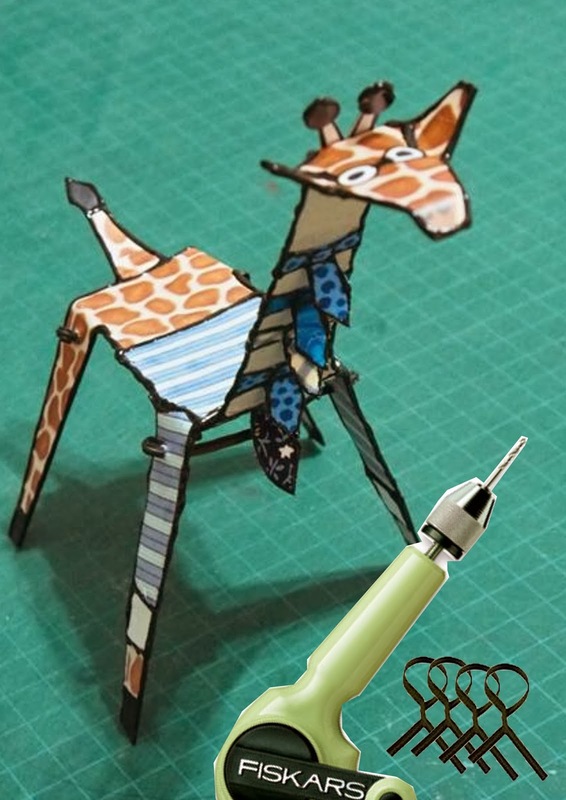 9) Attach twisty ties to make giraffe more balanced. 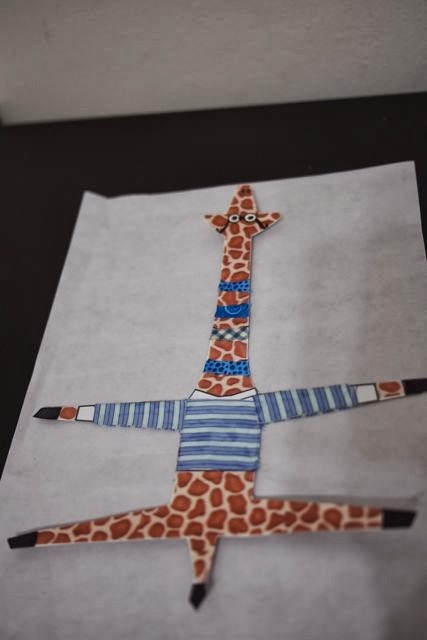 And there you have it, your very own folded and dressed up GROOVY GIRAFFE! 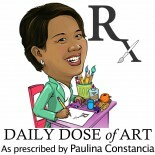 This entry was posted on November 27, 2013 by Paulina Constancia in Uncategorized.